Computer software engineers, or software developers, design and develop software applications or computer systems in Malaysia. They develop computer applications for clients as well as the major systems that make a computer run. Software developers are in increasing demand in Malaysia to keep pace with evolving technologies and the creation of new coding languages. Computer software engineering includes a variety of tasks and job descriptions, so aspiring software engineers may need to research the field before pursuing education and training that will prepare them for a particular career path. The types of software that computer software engineers create, test and evaluate include business applications, network control systems, operating systems, databases, middleware and computer games. Software engineers may use a variety of different programming languages. Students interested in a career in computer software engineering needs to have analytical skill, problem-solving, teamwork and communication skills as well as creativity and attention to detail; familiarity with database management, development environment, program testing and other related software. Students should be good in Mathematics and possess at least a Credit in SPM or O-Levels for Maths. Students should have a strong interest in programming and lots of patience in creating a programme. Choosing to study computer software programming is one of the best choices as it has many plus points and is one of the highest paying jobs in Malaysia. Software Engineering includes the design and implementation of specific, reliable, efficient and secure software systems for a multitude of purposes. Of course, you also have to be able to write or code software if you are going to be able to build the systems around it. ‘Software’ are the programs that we all use on our computers – but Software Engineering goes so much deeper than that. Software engineers usually design a program to fulfil a certain need or solve a problem. Every time you use your email, or an app on your smartphone or a computer accounting system you are using software. Software Engineering is concerned with the design and implementation of reliable and secure software systems, which have the functionality required for the intended purpose. Software Engineering is also sometimes referred to as “software programming”. Software Engineering is a booming industry with no shortage of opportunities to create unique and life changing programs. Here is a list of Top 10 Reasons to Study Computer Software Programming at a top university in Malaysia and to choose it as a career. Even companies that have been associated largely with hardware in the past estimate that 80-90% of their engineers are involved in software development. As a consequence of this rapid expansion there is a serious worldwide shortage of software engineers who are able to deal with the complexity of developing high-quality software systems.The software industry is one of the fastest-growing industries in the world with work opportunities in many areas including, but not limited to, telecommunications, defence, electronics and, of course, software development and computing. With a Software Engineering degree, you will be qualified to design, program and create software for literally anything you can think of. Given the ubiquitous nature of software in modern society, software engineers can find employment opportunities in many areas. These will include, but will not be limited to, the computing, software, electronics, telecommunications, security and defence industries. Organisations in Malaysia are already reinventing themselves to embrace digitisation, so it comes as no surprise that this field is observing – now and in the future – a steady and strong demand. Software development, data centres, big data analytics and cloud computing are rapidly developing areas. Digital or IT-related jobs, including content creators, data scientists and IT professionals will continue to stay in demand for the next decade. I didn’t want to leave Penang for my studies but EduSpiral provided detailed information to help me make my decision. who can safeguard the IT systems of organisations against malicious cyber-attacks. And, with a growing number of large-scale cyberattacks including the global WannaCry ransomware which infected more than 300,000 computers in 150 countries this year, it’s no surprise that cybersecurity experts are high in demand. The Pikom Job Market Outlook in Malaysia 2017 report found that professionals in the industries mentioned were paid an average of RM8,952 per month, last year. Pikom (The National ICT Association of Malaysia) is targeting a 6.7% growth for the average monthly salary of IT professionals this year, bringing it to RM9,056, which is more than double the amount in 2007. It is heartening to note that looking at a 10-year period, the ICT industry average monthly salary has doubled since 2007. In 2014, employees who remained in-role received salary increases between 5-10%, while those who moved organisations received between 15-25%. We expect this trend to continue in 2015 – potentially rising further for e-commerce professionals who will be in demand as organisations set-up IT hubs in Malaysia. A career in Software Engineering in Malaysia can be rewarding with a high job demand for qualified and trained professionals. Salary for software engineers is one of the top in Malaysia. Students should choose the best software engineering course to study in Malaysia and at a top university. The Critical Occupations List (COL) identifies the jobs most in demand in key sectors of the economy, and for which industries may be facing shortages or difficulties in hiring. It is developed by the Critical Skills Monitoring Committee (CSC), which is jointly led by TalentCorp and the Institute of Labour Market Information and Analysis (ILMIA). The input of the CSC would be used as part of the proposed Human Capital Council to be chaired by the Prime Minister to coordinate the Government’s human capital policies. 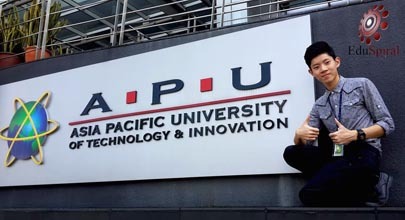 EduSpiral provided me with up-to-date information on Asia Pacific University & helped me to apply for the MARA Loan for my studies to achieve my dreams. According to the report done by Kelly Services on the Employment Outlook and Salary Guide 2012/2013, it lists the salaries earned by Malaysians in the IT field. Software Engineering is the practice of designing and implementing large, reliable, efficient and economical software by applying the principles and practices of engineering. Many subjects that are learned in Software Engineering is similar to the ones learned in Computer Science, but it also includes additional subjects such as requirements engineering, software architecture, software testing, and software deployment. Other areas that play an importance in this field include leadership, communication, time management, people management, etc. The engineers must plan out the best way to tackle the situation at hand and create a step by step process on how to accomplish this task. They may require to code in certain time, but most of the coding is done by programmers. A software engineer requires a background in software creation, programming languages, mathematics and computer hardware. EduSpiral chatted with me on Facebook & helped me with my application & accommodation. is an abstraction of software process and is also known as process paradigms. The first published model for the software process is known as the Waterfall model. When a software is being made it must first be conceptualized on the paper, following which the program is designed and then asked to be written. The software then goes through vigorous testing and a soft release before it is made public. According to Guide to the Software Engineering Body of Knowledge, a widely accepted standard; software engineering can be divided into ten sub-disciplines: Software requirements, software design, software construction, software testing, software maintenance, software configuration management, software engineering management, software engineering process and software quality. Software engineers learn much more about creating high-quality software in a systematic, controlled, and efficient manner. Software engineers are trained in all aspects of the software life cycle, from specification through analysis and design, to testing maintenance and evaluation of the product. They are concerned with safety and reliability of the product as well as cost and schedule of the development process. Software Engineering has its roots in the theory and mathematics of computer science. While its study has a lot in common with computer science, software engineers learn much more about creating high-quality software in a systematic, controlled, and efficient manner. Software engineers are trained in all aspects of the software life cycle, from specification through analysis and design, to testing maintenance and evaluation of the product. They are concerned with safety and reliability of the product as well as cost and schedule of the development process. customers have defined for them. More recently, it has evolved in response to factors such as the growing impact of large and expensive software systems in a wide range of situations and the increased importance of software in safety-critical applications. physical artifacts. Prospective students in Malaysia can expect to see software engineering presented in two contexts. the Computer Science curriculum. Some offer a multi-course concentration in software engineering within Computer Science. A number of institutions offer a software engineering degree program. techniques for developing and maintaining software that is correct from its inception. While Computer Science students are likely to have heard of the importance of such techniques, the engineering knowledge and experience provided in Software Engineering programs go beyond what Computer Science programs can provide. The importance of this fact is so great that one of the recommendations of the Software Engineering report is that, during their program of study, students of Software Engineering should participate in the development of software to be used in earnest by others. Software Engineering students learn how to assess customer needs and develop usable software that meets those needs. Knowing how to provide genuinely useful and usable software is of paramount importance. ambiguous use of the term software engineer as used in employment advertisements and job titles. I contacted EduSpiral for advise on my son’s future career. He looked at his results and then met us & provided excellent insight for my son to make a good decision. Choosing the right course and university to study in Malaysia after high school is one of the most important decisions you can make in your life. This can be a confusing and difficult time if you are unprepared. With the wide variety of courses & universities available to a student, the time after SPM or O-Levels can be a confusing one if not guided properly by an experienced and knowledgeable education counselor. Choosing the the right software engineering course at the right university in Malaysia for you after SPM or O-Levels will require some research. The more research you put into the process the more likely you will make the right decision. Doing your homework will pay-off. Once you have done all the reading, visiting, talking and analysing, you can complete your application to the university or college in the full knowledge that you have made a fully informed choice that you are happy with. So, it is better to take time and effort now to research carefully and ask the best education advisor to help you. Learn how to become a computer software engineer in Malaysia by talking to knowledgeable & experienced counselors and then choosing the best private university for your degree studies. Research the education and career requirements, training and certification information and experience needed to be successful in your future career in computer software engineering. Students after SPM or O-Levels may go for the Foundation in Computing or Information Technology at top private universities in Malaysia for 1 year before continuing on to the 3-year Computer Science or Software Engineering degree. With 3 credits in SPM or O-Levels including Maths, students may go for the 2-year Diploma in Information Technology, Diploma in Computer Studies or Diploma in Software Engineering and then enter into Year 2 of the Computer Science or Software Engineering degree. EduSpiral provided in-depth information on software engineering and convinced my parents on the importance of letting me study at the best university for IT in Malaysia. Pre-University students with the relevant results in STPM, A-Levels, SAM, CPU, AUSMAT, etc. can enter directly into Year 1 of the Computer Science or Software Engineering degree at the best university in Malaysia. Foundation in Science programmes from premier private universities in Malaysia are also accepted for entry. Established since 2009, EduSpiral Consultant Services is a top recruitment agent for private universities in Malaysia and private colleges in Singapore providing information and counselling on courses and helping students to choose the right university. EduSpiral Consultant Services sets ourselves apart from other agents by providing counseling based on facts and evidence so that our students are able to make the right choices after SPM, O-Levels, UEC, STPM, A-Levels or Pre-University. We search for articles such as the one below that will benefit our students to help them make the right choices about choosing their career and course.